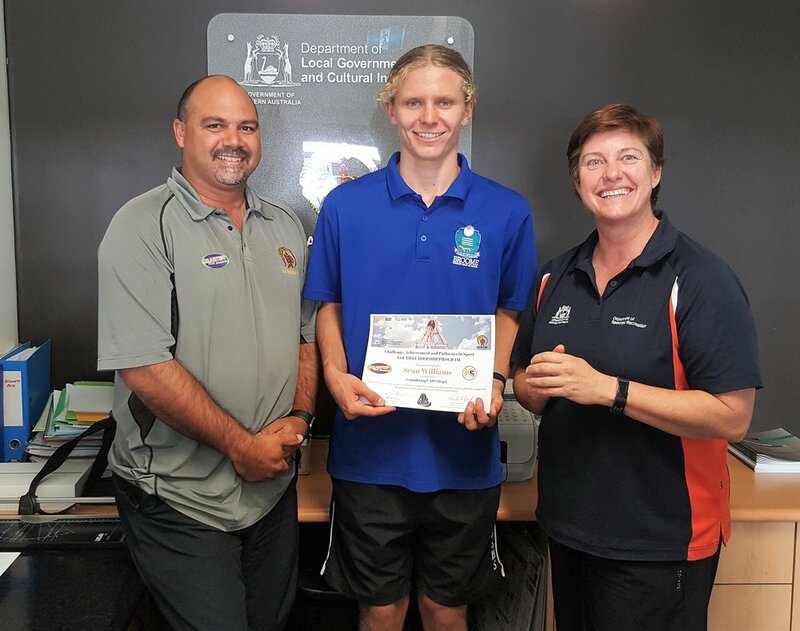 Massive Congrats to Sean Williams who has recently completed the first step of the Challenge, Achievement & Pathways through Sport (CAPS) Program. Garnduwa offered this program to 10 high school students from Broome Senior High School and St Mary’s College as part of a Pilot program in 2018. Students were then identified through Garnduwa’s Kimberley Spirit and Active Leaders Program. CAPS is a program that challenges young Australians to learn new skills, develop qualities of leadership and provide community service through the vehicle of sport. CAPS is a leadership development program that provides a framework for young people to experience another side of sport and can assist in your personal development. Sean is already making huge inroads as he commenced Step 2 of CAPS at the beginning of the year with the recent completion of the Senior First Aid Course and Level 1 Sports Trainer course (which would not have been possible without the support of Shire of Broome). Sean is a fantastic role model in our community and is very driven and focused, dedicating his time to complete the required hours of CAPS outside of school hours in his personal time, whilst juggling school, sporting and musical commitments. Sean also helps out with junior and senior football refereeing during the season and will no doubt be taking the skills and training recently learnt back to his footy club, Towns Football Club, to share and help out where needed. Well done Sean, you’re killing it!